This website is the home of LPGas Business, an Australian company specialising in providing consultancy support and equipment to LPGas businesses around the world, from the main distribution terminal to the customer. This website is designed for people and businesses that are looking for accurate, impartial knowledge about LPGas as a product and the LPGas business. David Tyler has over 35 years experience of the downstream oil and gas business and owns LPGas Business. In August 1996 he established his own LPGas consultancy company, having worked in the oil and gas business for a large multinational organisation in several countries around the world. Since then his company has provided support to LPGas companies and governments across the world including South America, Europe, Africa, the Middle East, Australia and the Far East. 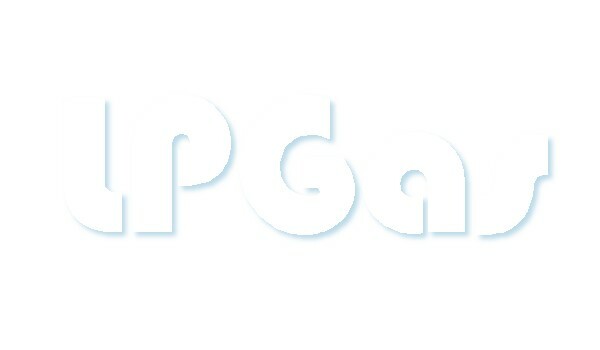 David Tyler has recently been appointed a Director of the World LPGas Association (WLPGA) in Paris. He drafted the manuscript for Guidelines for Good Business Practices in the LPGas Industry; a document published by the WLPGA to provide LPGas participants with a tool for ensuring the marketplace is not compromised by those in the industry who carry out “bad practices”. The document has already been translated into several languages and was updated in 2009. David was commissioned by the WLPGA to coordinate the updating of this Guide and the Guidelines to Good Safety Practice in the LPGas Industry. Both revisions were released during the 3rd quarter of 2008. The annual World LP Gas Forum is the premium global LP Gas event and a proven networking opportunity for LP gas stakeholders from around the world. It brings together senior executives, policy makers, and other key stakeholders from more than 50 countries worldwide. The theme of this year’s conference, to be held in Madrid, Spain on 29th – 30th September 2010, “LP Gas – an exceptional energy” demonstrates the LP Gas industry commitment to share and discuss the role LP Gas can play in the important and highly relevant issue of energy for all. For the third time ever, a Global Technology Conference (GTC) will take place in conjunction with the World LP Gas Forum. A full day will be dedicated to: global Autogas developments; operations technology and applications innovation - adding an extra day to the forum agenda on 1st October 2010. The exhibition will be a dynamic and stimulating demonstration of cutting edge technology while the outstanding social events will allow after-hours networking with industry peers. Spain promises the business traveller a country of innovation, breathtaking nature, ancient heritage sites and diverse culinary experiences. David was the founding Chairman of the WA State Branch of the Australian LPGA. 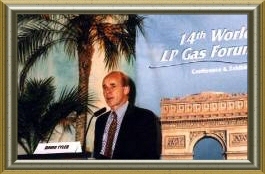 David Tyler presented a paper at the 14th World LPGas Forum Conference and Exhibition in Paris during September 2001. 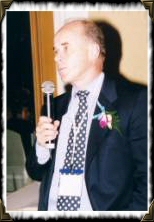 David also attended the 15th WLPGA Forum Conference and Exhibition in Bangkok during October 2002 and participated in the discussion on Sustainable Development. He also attended the 19th WLPGA Exhibition and Conference in Chicago. LPGas Business represents several LPGas equipment suppliers from around the world - from LPGas cylinder valves to LPGas cylinder filling plants. This website is designed for a wide audience. It contains information for people who are new to the LPGas Business and are looking for some basic knowledge about the product; its benefits and some typical applications. For example it would be particularly useful for people new to an LPGas Business or students who are undertaking a project about LPGas. It also contains information for those who are involved in running LPGas companies and who wish to access information to help improve the safety or performance of their businesses. Access each topic by clicking on the tabs opposite. As you move through the site you will find links to other companies and organisations that have interests in the LPGas Business. Take advantage of this feature to seek more detailed information from them. Enjoy browsing and if you require some specific advice contact LPGas Business. Finally, don’t forget to email your name here to obtain regular information, features and advice on the latest developments in the LPGas business world.